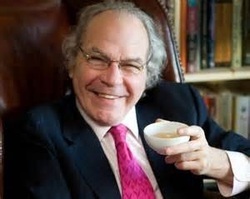 James Norwood Pratt - "Norwood" - has served the cause of tea around the world for more than thirty years. Mr. Pratt is quite possibly the world’s most widely-read authority on tea and tea lore, thanks to books translated into multiple languages and numerous columns, articles, and print and TV interviews in US and overseas media. His landmark "James Norwood Pratt’s Tea Dictionary " was named Best New Publication by the World Tea Expo in 2010. He appears in several films and theatrical productions. We might ask why is flavored tea so popular in the States and self-drinking, single estate teas so scarce. The easy answer is to compare the abundance of the one with the relative shortage of the other. Tons of anonymous tea can be flavored for every 100 kilos a top garden can produce. Let us admit there’s nothing wrong with most “anonymous” tea as long as it’s wet and goes down the right way—oftentimes we don’t care if it’s not a tea of any distinction. Another reason for flavored tea is that a century of soda pop has corrupted the national palate. Finally, some places the water is so bad it’s almost impossible to detect subtle tea flavors, but you can always taste the raspberry flavoring. At least people are drinking tea of some description. Single estate teas of orthodox manufacture are not for everybody, if only because there’s so much less of it. But more and more Americans are beginning to discover more and more fine teas as we become a tea consuming society, I feel sure.